Vision therapy is perhaps one of the most controversial topics in vision care. Some eye doctors are strong advocates for vision therapy and testify to its benefits — especially for certain vision problems of children. But other eye doctors are not convinced of vision therapy's effectiveness and do not recommend it. This article will help you learn more about vision therapy so you can make an informed decision regarding its potential benefits for your child. , filters and computer-assisted visual activities. Other devices, such as balance boards, metronomes and non-computerized visual instruments also can play an important role in a customized vision therapy program. It is important to note that vision therapy is not defined by a simple list of tools and techniques. Successful vision therapy outcomes are achieved through a therapeutic process that depends on the active engagement of the prescribing doctor, the vision therapist, the patient and (in the case of children) the child's parents. Vision therapy is sometimes called visual therapy, vision training, visual training or simply "VT."
Vision therapy can correct vision problems that interfere with efficient reading. Another name often associated with vision therapy is "orthoptics." This term, which literally means "straightening the eyes," dates back to the 1850s and is limited to techniques for training eye muscles for the purpose of cosmetically straightening eyes that are misaligned due to strabismus. Orthoptics can be very successful and is one type of vision training, but the term "orthoptics" is not synonymous with "vision therapy," which describes a broader range of techniques used to treat a wider variety of vision problems. Also, whereas the emphasis in orthoptics is on eye muscles and eye alignment (at least cosmetically), the goal of vision therapy is to optimize the entire visual system, including the eyes and areas of the brain that control vision, visual perception and other vision-related functions. By treating the entire visual system, vision therapy aims to change reflexive (automatic) behaviors to produce a lasting cure. In many cases of strabismus, vision therapy can be a better treatment choice than surgery. In other cases, it can be a beneficial adjunct therapy before and after surgery to increase the likelihood of a successful outcome. Most vision therapy performed in the United States is prescribed and monitored by an optometrist. For this reason, it is also called optometric vision therapy. Optometrists who specialize in vision therapy — especially those who also specialize in children's vision and vision development — may call themselves pediatric optometrists, behavioral optometrists or developmental optometrists. You've probably heard the old adage, "You can't teach an old dog new tricks." But recent research in the field of neurology suggests that when it comes to the human brain, that's not true. It just may take a little more time and effort. Vision therapy and sports vision training can improve vision skills needed for sports. Studies show that the human brain has a significant amount of neuroplasticity — the ability to change its structure and function in response to external stimuli. And these neurological changes in the brain, once thought to occur only during early childhood, have been demonstrated to occur in adults as well. In one study, for example, experienced adult typists who underwent long-term training to improve their keyboarding skills demonstrated increases in gray matter volume in their brains, suggesting that learning affects not only function, but also brain structure. Recent findings about neuroplasticity appear to confirm what many vision therapy experts have been saying for years: properly devised and administered programs of VT can cause neurological changes that can correct vision problems and improve visual performance. Some experts say certain anomalies associated with vision development, visual perception or vision function may be affected by neuroplasticity. If this is true, it's likely these same vision problems may be successfully treated with vision therapy. Amblyopia Also called "lazy eye," amblyopia is a vision development problem where an eye fails to attain normal visual acuity, usually due to strabismus or other problems of eye teaming. It is important not to mistake vision therapy for self-help vision improvement programs advertised online and on television that promise you can "throw away your glasses" after performing a series of eye exercises. 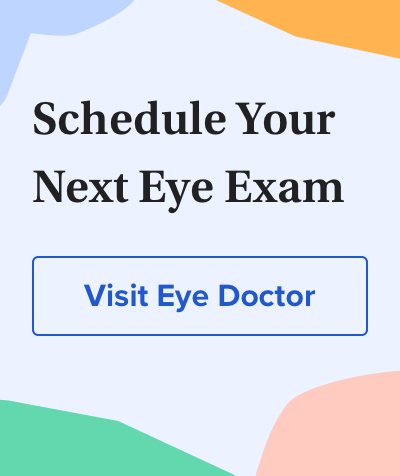 Such programs are not endorsed by the American Optometric Association or other professional eye care organizations, and there is no scientific research that supports the claim that self-help programs of eye exercises can reverse nearsightedness or other refractive errors. It's also important to know that a home-based regimen of "pencil push-ups," even when recommended by an eye doctor, should not be considered a complete program of vision therapy. Pencil push-ups — an orthoptic activity in which a person looks at small print on a pencil held at arm's length, and then slowly moves the pencil closer to his or her eyes while maintaining focus on the letters — is a task sometimes recommended for people to perform at home to decrease eye strain and other symptoms caused by convergence insufficiency (CI). But a study published in Archives of Ophthalmology found that a home-based regimen of pencil push-ups was ineffective for CI among children with the condition. The same study found that a 12-week program of supervised, in-office vision therapy plus orthoptics produced a functional cure of convergence insufficiency in over half the age-matched children with CI who received this treatment. A follow-up study revealed that among 221 children ages 9 to 17 years with symptomatic convergence insufficiency, 73 percent receiving office-based vision therapy combined with home exercises had successful or improved outcomes, compared with 43 percent of those who performed pencil push-up exercises at home. While a well-intentioned eye doctor may recommend pencil push-ups at home (with or without follow-up visits to monitor progress) as a low-cost treatment for convergence insufficiency, these studies suggest a supervised in-office program of vision therapy plus reinforcement orthoptic exercises performed at home is the most effective non-surgical treatment for this vision problem. Sports vision training is not vision therapy, but it shares some of the characteristics of VT. Optometrists and ophthalmologists who specialize in sports vision offer customized vision training programs for anyone interested in optimizing their visual skills for specific sports. Many Olympic and professional athletes have undergone sports vision training programs to improve their performance. Because sports vision training programs typically are designed to enhance a person's visual skills for a specific sport rather than to correct a vision problem, the term "vision training" is preferred over "vision therapy." However, some of the techniques used in sports vision training are similar to those used in vision therapy. Watch this video to learn more about myopia and what can be done to slow the progression of nearsightedness in children. About vision therapy. College of Optometrists in Vision Development. www.covd.org. (Accessed February 2016.) What is vision therapy? Optometrists Network. www.visiontherapy.org. (Accessed February 2016.) Neuroplasticity: Teaching an old brain new tricks. Review of Optometry. January 2009. Randomized clinical trial of treatments for symptomatic convergence insufficiency in children. Archives of Ophthalmology. October 2008. Practice and perfect: length of training and structural brain changes in experienced typists. NeuroReport. July 2007. A randomized clinical trial of treatments for convergence insufficiency in children. Archives of Ophthalmology. January 2005.